It takes a tough robot to disassemble a fragile cookie. By now, you've probably seen the video, which has been viewed more than a quarter-of-a-million times on YouTube. 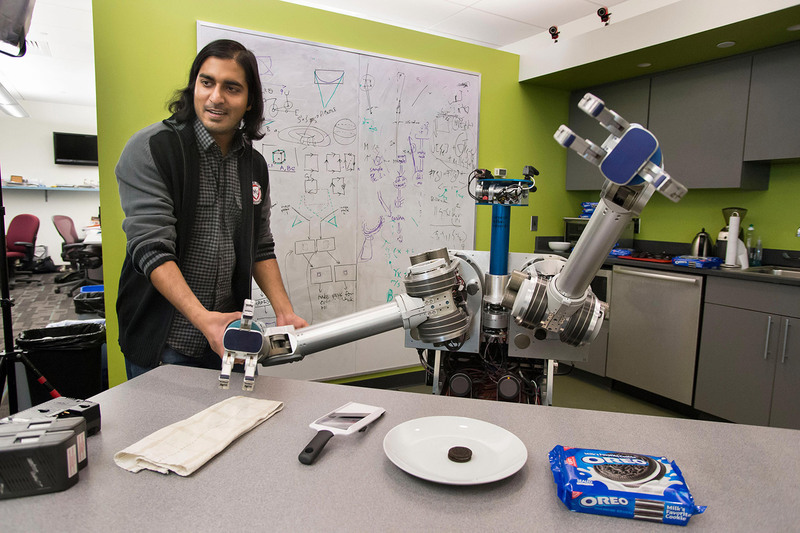 The makers of Oreo cookies recruited HERB, the Home Exploring Robot Butler developed at Pittsburgh's Quality of Life Technology Center, as part of a national advertising campaign called "Cookie Vs. Creme." We all laughed of HERB's (staged) vexation when confronted with the task--in one part of the video that's staged as an "out-take," HERB tries unsuccessfully to separate the cookies first by stabbing at them with a butcher knife, and then by smacking them with a frying pan. The video had a serious side, too, showing how HERB's arms work as well as the cameras that allow HERB to perceive its visual world. HERB has a serious side, too. QoLT is a joint project of CMU and the University of Pittsburgh which develops technologies designed to help people with physical challenges--including wounded veterans and older adults--to live independently in their homes. 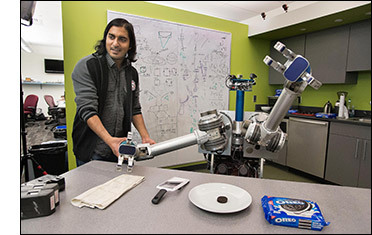 The Oreo challenge allowed researchers to validate the manipulation algorithms that explore how HERB or other robots could assist people at home, in ordinary kitchen environments, with everyday tasks.